Welcome back to a new week of mommy resources and solutions. I can’t wait to see what you share this week. Last week in The Mommy Club we had 147 ideas shared bursting full of mom advice, tips, crafts and ideas! Below you will find the most featured popular mom advice. 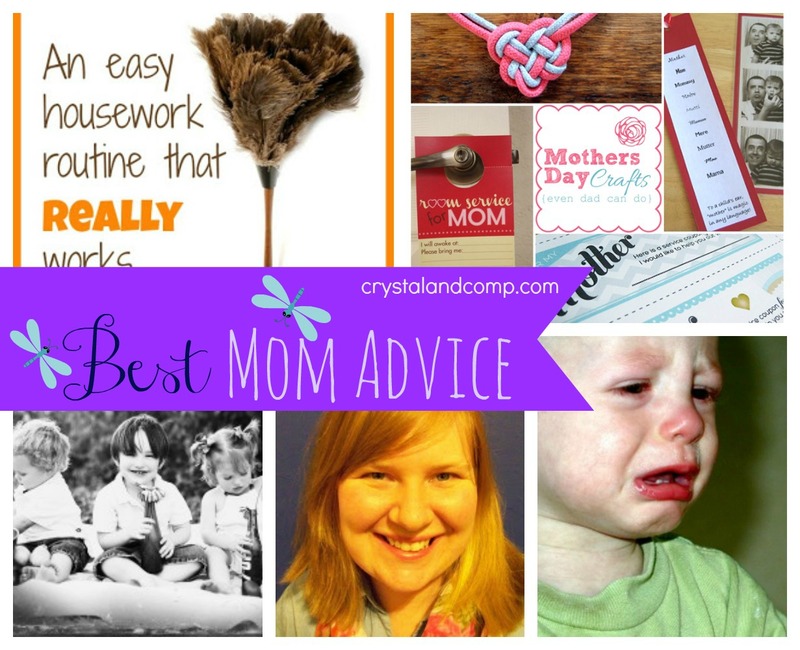 So stop over and read more about each one featured in The Mom Advice post (5/6/13). Thank you all for linking up your mom advice, dinner ideas, teacher appreciation ideas, home organization ideas, DIY home projects, menu plans, homemaking and parenting mommy solutions, easy recipes and crafty ideas! 1-Mums Make Lists shared an easy housework routine that really works! 2-A Daddy Blog shared an interesting look at how parents might be making their kids easy targets for bullies. 3-Working Moms Against Guilt shared last week how to be a more authentic parent. 5-Want to lose weight quickly? A Mom in the Making shared the cutest tip that she learned 10 years ago. Thanks for always stopping by, Danielle! Angela- thanks for sharing your great ideas!